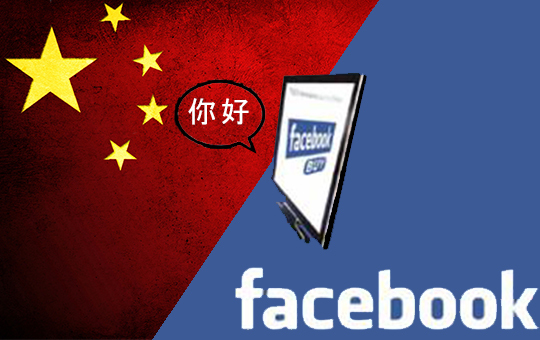 When Facebook will come back to China ? During April 2016, Mark Zuckerberg came to China in order to meet the leader of Alibaba Jack Ma and the Chinese Communist Party (CCP) Chief Liu Yunshan. They talked about the different progress China made on the Internet field and shared their desire to create a better cyberspace. And by a better « cyberspace » Zuckerberg mean a world where Facebook is not blocked by the Chinese government. Facebook has been blocked since 2009 in China. The CCP thought it could be used for anti-government movement and protests. However during Mark Zuckerberg’s move in China he successgully posted a picture when he was jogging on Facebook. So the « Great firewall » seems to have some breaches apparently. During his different speechs Mark Zuckerberg talked in Chinese to the audience. For him it was important to learn Chinese because his wife is a Chinese woman. So in order to communicate with his family’s wife he had to learn. That is why he can speak in Chinese, with a certain accent which some Chinese complain about. China, with 660 millions people who are using internet sound like a delicious meal for Mark Zuckerberg, but he might meet some difficulties. Except the fact that the Chinese Communist Party always has a word to say about the entrance of Facebook on the network of China, something else will not work. There are already application and website which purpose the same service as Facebook and even more in order to feet to the Chinese market. The most popular one in China with 650 million active users every month is Wechat. At the beginning it was only an instant message text application. But in few years it began stronger and bigger by helping Chinese in their everyday live. In addition of sending messages it is also possible to book tickets, order a taxi, pay the electricity bills of even do shopping. Against this beast which adapted his services to the Chinese market, it is going to be hard to acquire the same size without adaptation to the market. And even if Facebook developp crazy stuff specially for the Chinese market it will be hard to highly penetrate the market as Wechat did when it started. At the beginning of Wechat, everything had to be built and now it is not anymore the case. But Wechat is not the only actor in China. Microblogs like Weibo could be mentioned which is similar to Twitter and there are 200 million active users every month on this one. The different competitors already developed in China represent the first difficulty for Facebook, the government is the second. The fact that Facebook is not authorized in China is a big deal. It is like because Facebook is not dedicated to the Chinese market like Weibo, Wechat and others are. So Facebook is against the regulation which is installed in China, so it is against the Chinese politic. The goal of the CCP is also to favorise the development of national champions that is why foreign companies meet a wall of difficultier when it is about being in China. For example there is Amazon which is implanted in China since 1998. Amazon had to face the government of course but giant Alibaba. And Nowadays Amazon.cn has only 1.3% of the market share. Ubber is an another which had the same difficulties with the state and competitors. His main opponent is Didi Chuxing which is supported by Tencent and Alibaba like two big brothers who taking care of Didi Chuxing. However Didi Duxing is not dominating the market yet with its seven million rides every day. About Ubber it is more about one million per day in China. The next goal for Ubber is to reach the billion rides per year. So if Facebook want to engage himself in China’s market it will be important to have cash but to work on the image on the brand and how to acquire the Chinese users who have all they need with Chinese brands already implanted.